Fantasy Basketball: Playing virtually like the Pros! Not many sports in the world attract the sort of attention and public acclaim worldwide that basketball does. Everyone has heard of Michael Jordan and LeBron James and other great athletes within the great sport of basketball. But realistically how many of us are 6 foot 8 inches tall and able to jump high enough to slam dunk a ball through a basket that is 10 feet off the ground? Although the popularity of basketball is massive all around the world with countries like Lithuania and the Philippines having basketball as their national sport and many leagues exist outside of the US. Leagues such as the EuroLeague in Europe is of comparable standard and popularity as the NBA in the US. For those of us that do enjoy basketball there is no way we can compete in anyway with the standard, speed and excitement at which the best players play the game so we are left to only experience that vicariously through them when we watch on TV or when we go and sit courtside for the game. What if there was a way you could experience all of the action and every shot and point, every bit of dribbling skill and free throw all without ever leaving the comfort of your own home? Well enter fantasy basketball! This is a great way to heighten the already incredible excitement of basketball while mixing that with the skill of drafting your own teams and playing against other people. You will experience a whole new side to the sport that brings you even closer and more engaged with all the action. It is an unbelievably fun game to play that will bring you some personal challenges as well as challenges amongst your friends that just passively watching the games will never bring you. Well it is pretty simple, you pick a team of players from the basketball of your choice, which will most likely be the NBA. This team will accumulate points during games and throughout seasons. There will likely be several teams competing against each other in any given fantasy league. The team with the most accumulated points over a season will win the league. Obviously that is a very high level look at the way fantasy basketball operates. Of course there are more intricacies that exist within the world of fantasy basketball but at a fundamental level that is all there is to playing fantasy basketball. When it comes to picking your team for the fantasy basketball league there are two main ways it can be done. 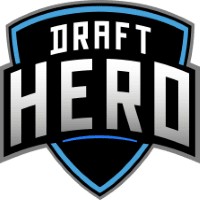 The first way is the drafting method, where every “manager” of a fantasy team takes turns to pick players from a pool of players. Usually with the draft the drafting process will “snake” meaning that whoever picks first on the first round will pick last in the next round just to keep everything fair. The next common method used to select teams is based on a budget system or salary cap. In this system each manager is given a budget for players which they then use to bid for players to have on their team. They are of course not allowed to go over their budget. Managers could go for broke and try to get one really good player for a large chunk of their budget or they could try spread it out with a whole team of ok players in an attempt to make more consistent points. This is the decision of the manager and is what brings an element of skill to the fantasy basketball and of course added excitement to the whole thing. Each team in a fantasy basketball team will require certain positions. These positions that each team needs to fill are: a point guard, a shooting guard, another either point or shooting guard, a small forward, a power forward, another either small or power forward, two centres and one or two more players who can play in any position, commonly known as utility players. These are the standard positions that make up a fantasy basketball team but many leagues will allow you to have more players to form a bench as well. These bench players will not count towards your points scoring but they are players that you can freely move in and out of your starting team when you choose. Scoring systems also vary from league to league but there are two main scoring systems used: Rotisserie and Fantasy Points. The Rotisserie system is one where all the points from all the players in each team are totalled up and then all the teams in the league are ranked and points awarded based on that position. In a league with six teams the team at the top is awarded 6 points, second team is awarded 5 points etc. The next possible way of scoring that is used frequently is fantasy points scoring. In this system each statistic that is tracked is awarded a point. For example if a player scores a basket it may be worth a point where giving the ball away in play may be lose that player a point. These points can then be totalled up for each team and compared. The statistics that are tracked in fantasy basketball are: points, rebounds, assists, steals, blocks, three-pointers made, field goal % and free throw %. There are many places where you could play fantasy basketball depending on what you want to get out of your experience. If you are only in it to pick some fun team names and have a bit of competitive fun amongst your friends to spice up the basketball season then you can go ahead and just play the fantasy basketball leagues that run on yahoo and espn. There you can create your own leagues, so that just you and your friends are playing against each other or you can join the public leagues and pit your skills against other players from all over the world. If that seems a bit too mild for you and you want some more competition and maybe even some financial reward for being good at picking some fantasy basketball teams then you could join one of the daily fantasy sports sites such as DraftKings, FanDuel, StarsDraft or DraftHero. These sites offer many leagues and tournaments that you pay to get into but you are then playing for cash prizes. Each of these leagues tends to only last a short period of time like a day or two so there is no need to wait the entire season to crown a champion. 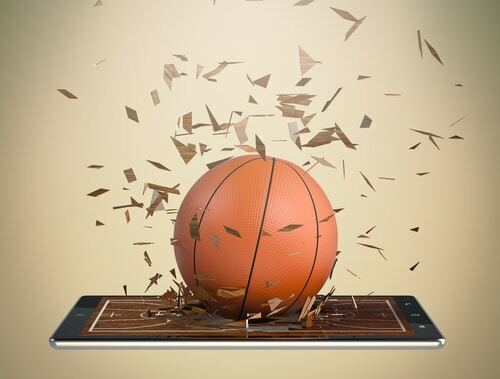 Fantasy basketball is such a perfect combination of socialising with friends, enjoying the great sport of basketball and that competitiveness that we all love. After all that is why we support a team in the first place, we want to win and feel part of that community. Fantasy basketball gets you even closer to the action than ever before and allows you to be an active participant in the sport throughout the season instead of just being a passive spectator like many others. We love sports, we love basketball and we love to win, so why not get involved in some fantasy basketball and see how much fun you can have. Just try not to get addicted! Trust me, it’s really easy to get addicted, but that’s why we love it so much!